Yes, I know well what I should eat and drink do not worry. When we are pregnant we read everything we could eat and drink for our well-being and the baby. No pregnant will jeopardize the health and well-being of the baby! 2. Enjoy life while you can! What? This means that after the birth I will stop living ?! You mean my life is over ?! What have I done! This is one of the worst things you can do to someone who is pregnant. This is a new phase, a wonderful phase, yes, it has difficulties, however, it has the most wonderful things you can imagine. From the birth of the baby begins a new chapter of our life, which will be as good, and certainly better than the life we had. 3. Sleep now because when the baby is born you will not be able to! Seriously? Well, that was one of the phrases that irritated me the most when I was pregnant. Yes I know that I will sleep less and that I will have different times to sleep, anyone knows this! I get up 1001 times to pee, I have a huge belly and so I don't have a position to sleep, maybe it's normal, right? My legs are swollen, my back hurts, my baby moves all the time and the anxiety to the birth, so it's normal being tired! I never knew the meaning of this question! Whether the baby was planned or not this does not concern anyone! The baby is much desired and will be much loved! 6. What a big belly! Does that mean I'm fat? Well, inside my belly is growing a new life so it is normal that it is big, but you don't need to tell me, I have a mirror. 7. Are you going to breastfeed? I do not know! Most pregnant women plan to breastfeed, but I can breastfeed or not. Whether I breastfeed or not my baby you will be fed with breast milk or canned milk (formula), which is better and / or possible! You, as I might have heard some of these phrases. 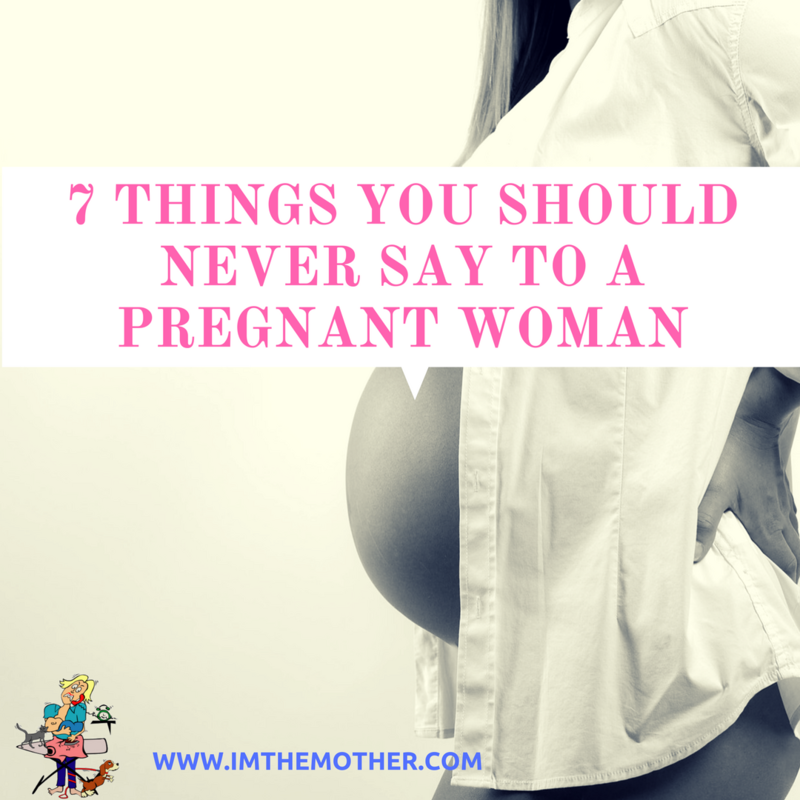 If you could, what phrase did you add to the list of the 7 things that you should never say to a pregnant woman? Comment below!